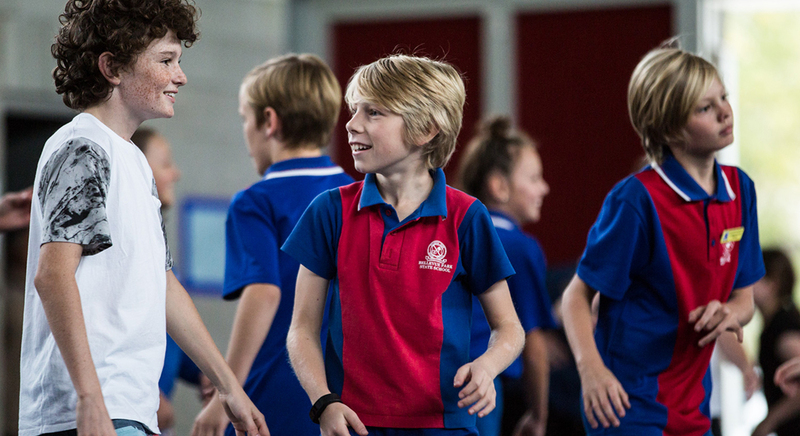 Dance workshops for primary and secondary students are available in schools across the country and at Sydney Dance Company’s studios located in Ultimo, Sydney. Led by Sydney Dance Company dancers, Teaching Artists and industry professionals, our inspiring workshops and dance classes are for students of all abilities. These engaging and inspiring experiences are available to schools and dance studios across Australia and can be delivered throughout the year at your school or at our Company studios in Ultimo, Sydney. A Creative Workshop provides a unique connection to the Company by sharing the same processes and creative tasks that our company dancers go through to create a new contemporary dance work. During the workshops we encourage participants to explore their creative side and to challenge themselves to think differently when generating movement ideas. Creative Workshops can be delivered across the country during our national tour. Dance Classes are available in a variety of genres including Ballet, Jazz, Lyrical, Theatre Jazz, JFH and Hip Hop to help students develop their dance technique and fitness in a fun and engaging environment. Taught by current industry professionals, students will be guided through a technique warm up and learn a fun, genre-specific routine. All workshops and dance classes are tailored to accommodate the learning needs of diverse students including those with different skill levels and prior dance experience. Teaching Artists support individuals to work at their own levels, encouraging all students to experience dance in a positive and inclusive environment. To make a booking or for more information contact us here: education@sydneydancecompany.com or call 02 9258 4800. Sydney Dance Company offers Creative Workshops for primary school students in Years 3-6. Workshops are inclusive and achievable for those who have never danced before yet challenging for students who dance regularly. The primary workshop is 60 minutes in duration and consists of warm up exercises and activities, a creative movement task and learning a modified section or phrase of the latest Sydney Dance Company production. Delivered by Sydney Dance Company’s Teaching Artists, Creative Workshops are a unique opportunity to experience how the Company creates and performs new and original movement. Participants are guided through a contemporary technique warm up, taught a section of Sydney Dance Company choreography and challenged with a composition task from one of our productions. During these dance classes, participants will be guided through a technique warm up and learn a fun, genre-specific routine. Click here for more information on the different dance genres and styles that can be taught. Sydney Dance Company’s National Tour of Creative Workshops are especially designed to support students’ live-performance experience of the Company’s touring work – Bonachela / Nankivell / Lane. Further information and dates of workshops will be released in 2019. To apply for a free workshop in 2019 contact us at education@sydneydancecompany.com or call 02 9258 4800. From Broadway Shopping Centre, walk up Wattle Street on the left side of the road towards Wentworth Park. The Studios are located beside the service station on the corner of Kelly Street. Any bus travelling along Broadway. Disembark at the Buckland Street stop (if heading west) or the Mountain Street stop (if heading towards the city) and walk up Wattle Street to the Studios. Free 1 hour parking is available 10am-3pm weekdays on Wattle Street in front of Sydney Dance Company’s studios. Alternatively, metered parking is available on surrounding streets. We suggest travelling by public transport where possible.